1.) Periodic Table of Videos houses videos of experiments for every single element on the Periodic Table. A favorite site of Science Teachers. 2.) Homespun Science Tunes is a site dedicated to taking popular music and making lyrics to the music based on science content. There are about 20 different tunes currently available to download the lyrics and the chord sheets. 3.) The Open Science Resources (OSR) portal enables you to access the finest digital collections in European science centers and museums, to follow educational pathways connecting objects tagged with semantic metadata and to enrich the contents provided with social tags of your own choice. You will have to create an account to access this site. 4.) Eskeletons is a site that offers virtual tours of skeletons of various animals, more specifically, primates. Great for teaching the Theory of Evolution. You might also be interested in eLucy and eFossils as well. 5.) Scitable is a free science library and personal learning tool brought to you by Nature Publishing Group, the world's leading publisher of science. Scitable currently concentrates on genetics and cell biology, which include the topics of evolution, gene expression, and the rich complexity of cellular processes shared by living organisms. 6.) CAST Science Writer is a tool that supports students in writing lab and class reports. Help students understand how to properly write and organize Hypothesis, Procedures, Data, etc. 7.) The Symphony of Science is a musical project headed by John Boswell, designed to deliver scientific knowledge and philosophy in musical form. Here you can watch music videos, download songs, read lyrics and find links relating to the messages conveyed by the music. 9.) Science Fix is a website/blog created by a teacher who shares videos of the experiments that he does in his classroom with his students. 10.) Chemicool is a website that provides an interactive Periodic Table that can be integrated into the classroom. 11.) CSI: The Experience allows students to participate in a Forensics online interactive. There are three different cases that students can explore. 12.) Science Teachers’ Resource Center is a web site for science teachers to share ideas. I would like to provide labs, demonstrations, and any other information which teachers can access. Permission is hereby granted to use and reproduce all materials at this site as long as the activities are not sold. 13.) Interactive Simulations provides various online demonstrations/interactives that are available for all science subject matter. You can explore the various interactives through the menu on the left hand side. 14.) CELLS alive! represents 30 years of capturing film and computer-enhanced images of living cells and organisms for education and medical research. The site has been available continuously and updated annually since May of 1994 and now hosts over 4 million visitors a year. 15.) Science NetLinks is your guide to meaningful standards-based Internet experiences for students. On the site you will find Internet-based learning activities for your classroom, engaging interactive activities and suggestions for using them in your classroom, reviewed websites to support standards-based teaching and learning. 16.) Microscope Measurement is a free interactive website to learn about microscopes. This site provides information for how to calibrate a microscope and then how to use that calibration to determine size of objects. 17.) Wikispecies is a site dedicated to sharing information about all the species found on the planet. Like Wikipedia, all the information shared is user submitted, so make sure students have an understanding of that. 18.) The Science of Everyday Life is a website for students, teachers, and parents to learn how science plays a role in our lives and impacts everything that we do. 19.) Science Review Games provides fun and interactive site to help you study for science exams. 20.) Fun Science Facts from the Library of Congress presents everyday Mysterious that most students have a question about and that can be answered scientifically. 21.) OnlineLabs provides science simulations for biology, chemistry, and physics. 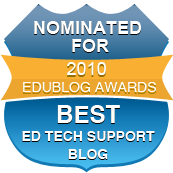 There are dozens of links to resources and simulations available. 22.) ScienceDaily is one of the Internet’s most popular science news web sites. You can find articles, activities and other resources that you can use in your classroom. 23.) Virtual Cell Animation provides students the opportunity to walk through the still images and movie included for each topic, viewers are in control of choosing the learning style that best fits their needs. 24.) The Science of the NFL provides students an opportunity to learn how the NFL uses science to better understand the physics and science of the game. From understanding concussions to momentum, the videos are a great addition to the classroom. 25.) The Periodic Table Applet and The Dynamic Periodic Table are two resources for assisting you and your students in learning about the elements. Here is a 3rd Periodic Table as well. 26.) Need a video for your class? The Science Video Search Engine is probably a good starting point. You can also search for videos in the different subject areas as well. 27.) :60 Second Science is a video competition for students to submit science videos. There are several other resources available on this website and you can also find the rules for the contest. 28.) Sumanas Multimedia Development Services offers animated tutorials in a variety of formats for the various scientific disciplines. The Science in Focus section offers animations for science that is currently in the news. 29.) DnaTube is a scientific site providing video based studies, lecturers and seminars. One of the best features of the DnaTube, is that it supports other types of scientific works through flash animations, power points, in addition to videos. 31.) The Science Museum provides a great website with resources, activities, interactives, simulations, and games that students can participate in to learn science concepts. There is an educators section that has classroom resources, one if which is a game called Thingdom, a fun game about genetic inheritance and selective breeding – adopt a thing, care for a thing, make baby things! 32.) Extreme Science is a website to find the biggest, baddest, and the best in the world of extremes and learn about the science behind what makes each the most extreme example of its kind. On the site you will find world records in natural science, including earth science and the plant and animal kingdom. 33.) The Molecular Workbench is a free, open-source tool that creates and delivers visual, interactive simulations for teaching and learning science and engineering. 34.) 101science.com is your internet science PORTAL to more than 20,000 science web pages. Help students improve their grades in class, increase content knowledge, make work easier, and enjoy learning. This site is free with no sign-up required. There is a huge list of topics to choose from. 35.) "Interactives" provides educators and students with strategies, content, and activities that can enhance and improve students' skills in science. 36.) Science Demos is a website containing videos of science experiments. There are over 25 videos to choose from. 37.) The Secrets of the Sequence Video Series offers an innovative way for teachers to incorporate astounding advances in the life sciences from gene research into their teaching. With funding from the Pfizer Foundation and the National Academy of Sciences, VCU has assembled 50 of the best videos from the public television series, “Secrets of the Sequence” to assist teachers in the application of genetic research across the biology curriculum. 38.) "Exploriments are simulation-based interactive learning units for enhancing conceptual understanding in Science and Math in an experiential manner. Useful for students and teachers alike, Exploriments provide a highly interactive, exploratory, and engaging experience." 39.) "Scirus is the most comprehensive scientific research tool on the web. With over 410 million scientific items indexed at last count, it allows researchers to search for not only journal content but also scientists' homepages, courseware, pre-print server material, patents and institutional repository and website information." 40.) Late Nite Labs offers students and teachers hundreds of preset and customizable science labs that can be conducted completely online. Teachers can get access for free, but their is a cost for students. So it is a great tool to use in the classroom by the instructor. It should probably be the other way around. 1.) The Virtual Courseware Project produces interactive, online simulations for the life science laboratory or for earth science field studies. The activities are designed to enhance an existing curriculum and include online assessments. They can be used by students ranging from middle school, high school, or college classrooms. 2.) NOAA Education Resources provides lessons and activities for teaching weather. This is a newly updated site, so it might be worth checking out if you have not been here before, or used the old site. 3.) A blog post providing several looks at the Scale of the Universe. Interesting and easy tools to use at your disposal. 4.) From NASA comes Solar System Exploration which allows visitors the ability to learn more about the planets, stars, and other aspects of the solar system. There are videos and specific resources for educators as well. 5.) Sky-Map features a high resolution sky map with celestial objects that are outside our solar system mapped out. The sky map interactive chart is useful for both amateur and professional astronomers. There are options you can pick to view the skies. Sky-Map is still an ongoing project. 6.) Gigagalaxy Zoom shows the full sky as it appears to the unaided eye. The second zoom view is of one that appears with a hobby telescope. The final zoom level reveals the details of an iconic nebula. The idea behind the project is to serve as an aid for the untrained observer when he (or she) looks up at the night sky without the help of a telescope. The ultra-high resolution zoom levels can be used as a visual aid. 7.) Visible Earth is a catalog of images and animations of our planet taken by NASA cameras. 8.) Neave Planetarium is a browser-based simulated planetarium that allows you to observe stars, constellations, and planets by specific location. The interactive website is Flash based and the most surprising thing about it is that it’s the handiwork of one man who loves designing interactive tools. 9.) We Choose the Moon was set up to commemorate that historic event. But you can still take a peek into the past on this interactive website. The mission is recreated in precise detail right from pre-launch with actual voiceovers. You can change the views and also click on hotspots to view related media galleries. The site is divided into 11 sections where you can watch photos, videos, and other archival content. 10.) Explore Mars Now simulates a tour through the Martian landscape and a human colonized habitat. The walkthrough is a lesson in the science, technology, and design challenges that will be required to land man on the Red Planet. 12.) Stellarium is a planetarium for your computer. Just input your location and explore the sky outside or the view from any other location. The program offers up information on stars, nebulae, planets and constellations according to 12 different cultures. 13.) Impact Earth is a tool that was developed for Purdue University, your students can enter the projectile parameters, angle and velocity to calculate what would happen if the object were to actually hit Earth. You can also get the details on the projectiles that caused famous craters. 14.) Space Science is a site that has valuable resources for learning about Space. They currently have a download where you can learn all about the sun. 15.) HubbleSite is the home page for the Hubble Telescope. There are various resources available related to the telescope as well as the images that it has captured through the years. 16.) "Eyes on the Solar System" is a 3-D environment full of real NASA mission data. Explore the cosmos from your computer. Hop on an asteroid. Fly with NASA's Voyager 2 spacecraft. See the entire solar system moving in real time. It's up to you. You control space and time. 17.) The Cassiopeia Project is an effort to make high-definition education videos available to anyone who wants them. 18.) Encyclopedia of Earth provides a resource for educators to help students learn about the earth. You can also find articles and books. If interested, you can become an author on the site as well. 19.) So You Always Wanted to Ask NASA is a site that has real scientist and astronauts answering the questions we all want the answers to when it relates to being in Space. 20.) The Virtual Courseware Project produces interactive, online simulations for the life science laboratory or for earth science field studies. The activities are designed to enhance an existing curriculum and include online assessments. They can be used by students ranging from middle school, high school, or college classrooms. 21.) Google Sky is taking the premise of Google Maps and applying it to the Universe. Through Google Sky you can explore the Solar System, Constellations, Hubble Images, Spitzer Infrared, GALEX Ultraviolet, and Chandra X-Ray. You can also view the sky as if looking through a telescope from the backyard. You can search, Twist, Turn, and Zoom through the Universe. 22.) Sun Motions is a Flash based interactive that allows users to see the angle of the sun from months, latitudes, and times of day. You can play an animation of the motion of the sun as well to help students see how the sun acts through certain time periods. 23.) The Apollo 13 Mission Transcripts is a site that provides all students would need to know about the Apollo 13 mission. You can get the transcripts that are divided into 6 difference phases of the mission. An excellent personal and primary document resource. The site Spacelog also has transcripts for other missions as well that are worth checking out. 24.) 3D Solar System Simulation is a simple simulator to learn about the location of the planets and other aspects of the solar system. 25.) SPACE.com, is the world's No. 1 source for news of astronomy, sky watching, space exploration, commercial spaceflight and related technologies. 26.) NASA Quest Challenges are free web-based, interactive explorations designed to engage students in authentic scientific and engineering processes. The solutions relate to issues encountered daily by NASA personnel. 27.) Lunar Phases is a Flash interactive that allows users to see all the phases of the moon and animate them as well. 28.) Zooniverse is home to the Internet's largest, most popular and most successful citizen science projects. There are several projects that are currently in the works: Milky Way, Planet Hunters, Old Weather, Moon Zoo, to name a few. This site seems very promising. 29.) Solar System Scope is probably the most complete interactive solar system application on the web. A must see for any Earth-Space or Astronomy teacher. 30.) Here is a collection of Earth Science Power Point Presentations that might be worth checking out. 1.) Practical Biology provides teachers of biology at all levels with experiments that demonstrate a wide range of biological concepts and processes. Each practical may be used alone or as a starting-point for open-ended investigations or enhancement activities, such as clubs or open-day events. 2.) Biological Animations is a site that provides online animations for various biological processes. 3.) The Biology Corner is a resource site for biology and science teachers. It contains a variety of lessons, quizzes, labs, web quests, and information on science topics. You can find lessons related to biology topics in the links listed under “topics” on the sidebar. Topics include: Ecology, Genetics, Anatomy, Cells, Scientific Method, and Evolution. 5.) Explore Biology is a resource for teachers of high school biology and especially AP Biology. I highly recommend it for AP teachers. On the site you will find lecture notes, blogs, handouts, and Activities and Labs. 6.) The Encyclopedia of Life is a valuable resource for science teachers and students in the science classroom. Students can learn about the various species as well as get the latest news on life sciences. 7.) The Arthropod Story takes you on a tour through the amazing evolutionary history of arthropods. Along the way, you'll get a healthy dose of taxonomy, paleontology, natural history and principles of evolution. Looks like a great webquest from the Understanding Evolution website that has other valuable resources for science teachers. 8.) The Plant List is a working list of all known plant species. Version 1 aims to be comprehensive for species of Vascular plant (flowering plants, conifers, ferns and their allies) and of Bryophytes (mosses and liverworts). 9.) Biodiversity Snapshots will help you to learn more about the animals around us every day by combining mobile technology and science. We provide you with a field guide, identification tool and way to record your observations all on a mobile device — your phone, netbook, or tablet. You make the observations and participate as a citizen scientist. 1.) The ChemCollective provides online resources for teaching and learning about Chemistry. The Virtual Lab is a place to conduct experiments virtually on the computer using various chemistry tools, compounds, and chemicals. 2.) Practical Chemistry provides all teachers of chemistry with a wide range of experiments to illustrate concepts or processes, as starting-points for investigations and for enhancement activities such as club or open day events. It also enables the sharing of skills and experience of making experiments work in the classroom. 3.) ChemEd DL! is a site where you will find exemplary digital resources, tools, and online services—your 24:7 aid for teaching and learning chemistry. A collaborative, community-driven effort, ChemEd DL is the place for sharing your work and benefitting from what others have done. 4.) 2011 is the International Year of Chemistry and they have a great resource site for Chemistry teachers. 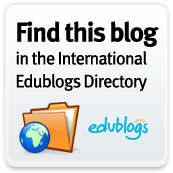 You can find ideas and activities for the classroom as well as other various resources. 5.) DNA from PBS is a great site to learn about DNA. The site has videos separated into five sections. There is also a section for Teachers with resources for using the site. 6.) The Molecular Workbench is a free, open-source tool that creates and delivers visual, interactive simulations for teaching and learning science and engineering. 7.) The Comic Book Periodic Table of Elements is a cool resource for students. It takes a look at comic book characters and their special powers and how they relate to the various elements of the Periodic Table. 9.) NBC Learn - Chemistry Now provides videos every week related to chemistry and real life examples of how chemicals impact various aspects of our lives. Right now you have access to 9 weeks worth of videos. 10.) Middle School Chemistry provides Lesson Plans, Multimedia, and workshops for science teachers. "Investigate the world of atoms and molecules through hands-on inquiry-based activities and molecular model animations." 1.) Practical Physics is a website for teachers enabling them to share their skills and experience of making experiments work in the classroom. 2.) Physics Demonstration Films provides 8 videos of Physics experiments that you can share with students. 3.) Sixty Symbols are 60 videos about the symbols of physics and astronomy. Some videos contain viewer questions as well. 4.) The Physics Classroom Tutorial is an online physics tutorial written for high school physics students. The Tutorial covers basic physics topics using informative graphics and an easy-to-understand language. Each unit is broken up into lessons and sub-lessons. A lesson resembles the type and extent of coverage given to that physics topic in class. 5.) The Institute of Physics has a great YouTube channel of videos to share in physics classrooms. The power of online video is changing the landscape of classroom teaching. 6.) APlusPhysics is a free online physics resource that focuses on problem solving, understanding, and real-world applications in the context of introductory physics courses. 1.) MEDtropolis provides a free virtual body that you can explore. The body offers you the ability to examine the Human Brain, Heart, Skeleton, and Digestive Tract. 2.) Google Body Browser is another option for a virtual tour of the human body. This requires no download, but does need an updated version of the latest Browser to work. 3.) The purpose of DirectAnatomy, a completely free site is to familiarize more people with the human body, using an interactive interface that allows you to navigate through the body, annotate the anatomic plates, and check your knowledge. 4.) From the BBC, the Human Body and Mind where you can play games about the human body, and take tests to challenge your mind. 5.) Artificial Anatomy is a site dedicated to playing a game to learn about the anatomy. It is completely free and easy to use. 6.) Learn Genetics includes interactive visualizations, 3D animations and activities. Student activities include taking a “tour” of DNA, a chromosome or a protein, building a DNA molecule, or exploring the inside of a cell. 7.) Anatomy Corner is devoted to compiling human anatomy resources for both students and teachers of anatomy. Worksheets, notes, quizzes and power point presentations can be found on the “Anatomy Topics” menu. Resources are developed for high school anatomy but could be modified to work for younger students or college-age students. 8.) The Walter and Eliza Hall Institute of Medical Research explains the discoveries of scientists at the Walter and Eliza Hall Institute through 3D animation. Intriguing and interesting animations. 9.) InnerBody.com is a website that provides animations, 100's of anatomy graphics, and thousands of descriptive links. Study the anatomy of the human body online using anatomy charts, models, and diagrams. It's fun, interactive, and an ideal reference for anatomy students.